children – Literacy Changes Everything! 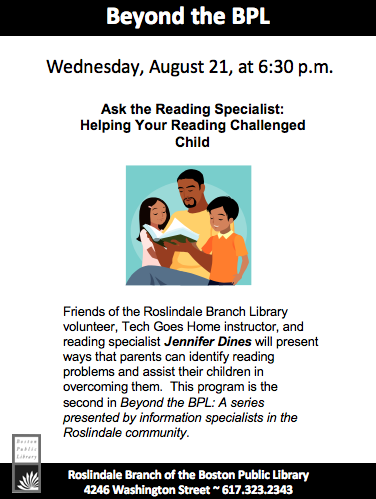 I will be doing a special talk for parents and families this Wednesday at the Roslindale Branch of the Library. At the end of the session, I will also demonstrate some games and techniques for helping children and teens learn Dolch words. I will also have handouts and resources for the audience to take home. I am really looking forward to this presentation because it is a way to use my education and knowledge to help in my community.